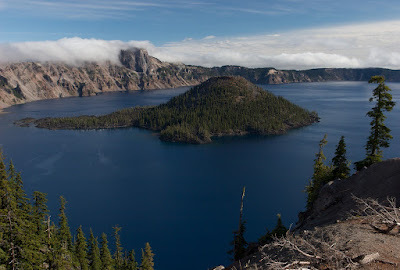 Wizard Island, from Crater Lake rim. 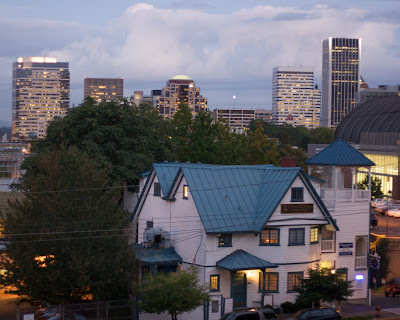 Portland, Or Skyline from our Hotel. 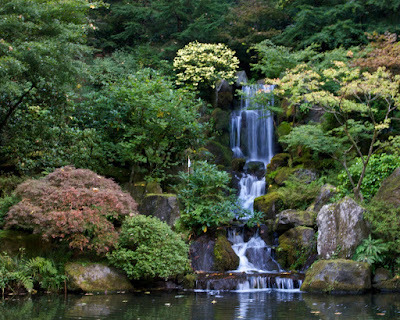 Waterfall, Japanese Gardens, Washington Park, Portland.